CommuniGator Help SiteGatorMailAudience Import CSVMy CSV file isn't uploading! 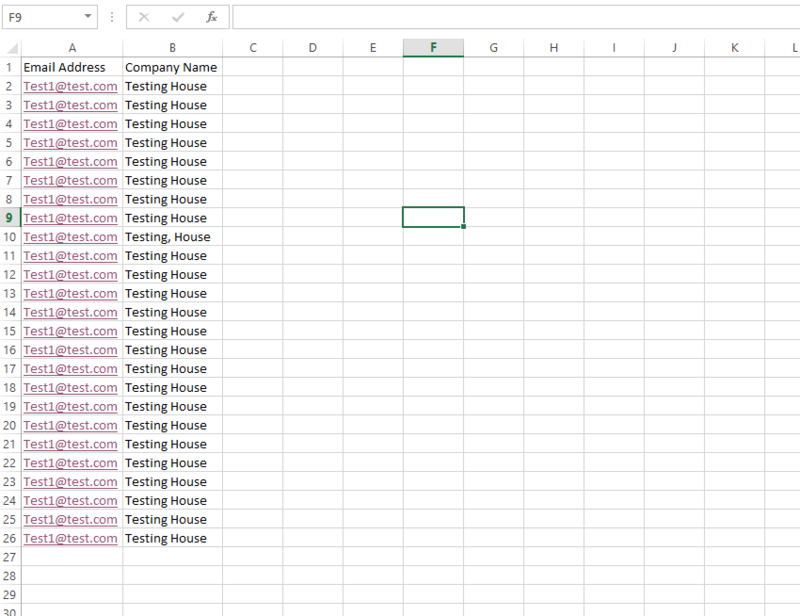 Here is an example CSV. 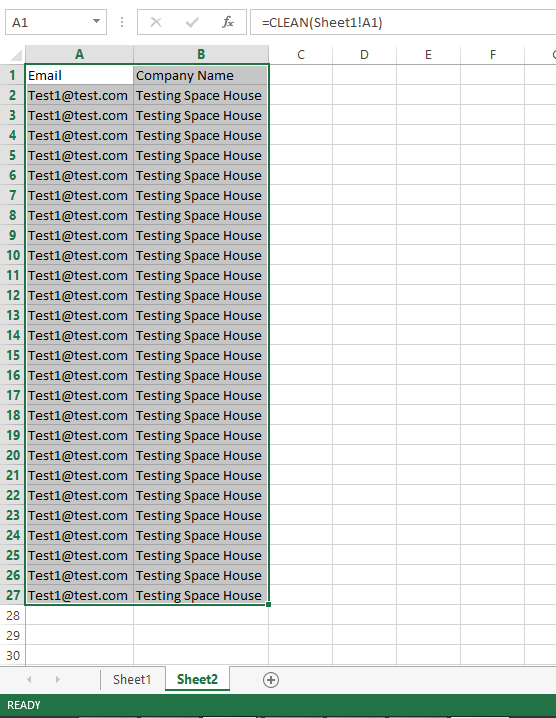 A comma delimited CSV file, which is what you use to upload to CommuniGator, puts out a text file where every field is separated by commas. 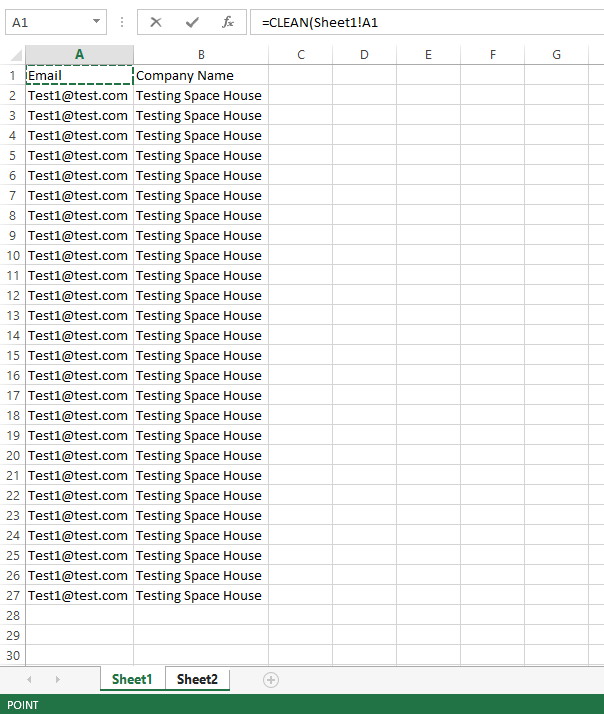 The most common reason that CSV files do not upload is due to extra commas within a field (usually address). This simple addition throws off the whole CSV and can cause all manner of problems, not limited to CommuniGator refusing to upload the file. What we are going to do here, is do a simple find and replace action to remove the commas present in the file. Press Control+F and select Replace. In the 'Find what' box, enter a comma. 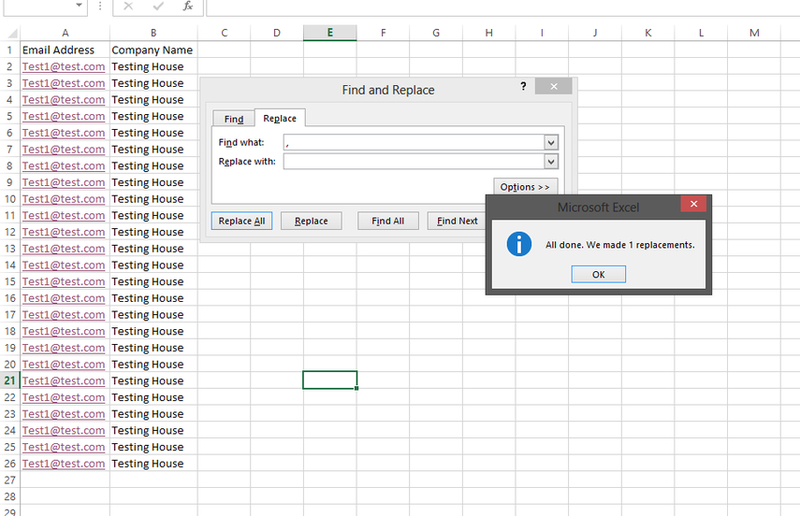 Leave the replace box blank and click 'Replace All'. Click the plus as shown. This will bring up a new sheet. This will initiate the clean formula. 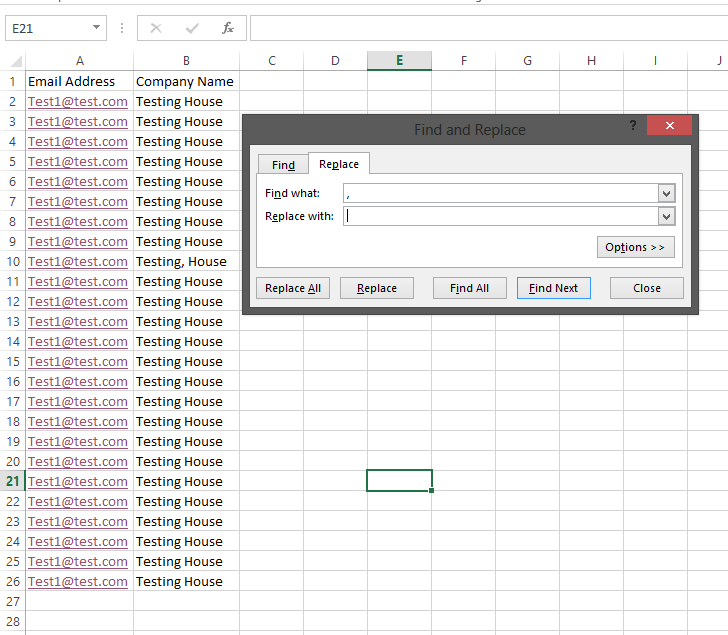 Without clicking anything else, click Sheet 1 and click on cell A1. 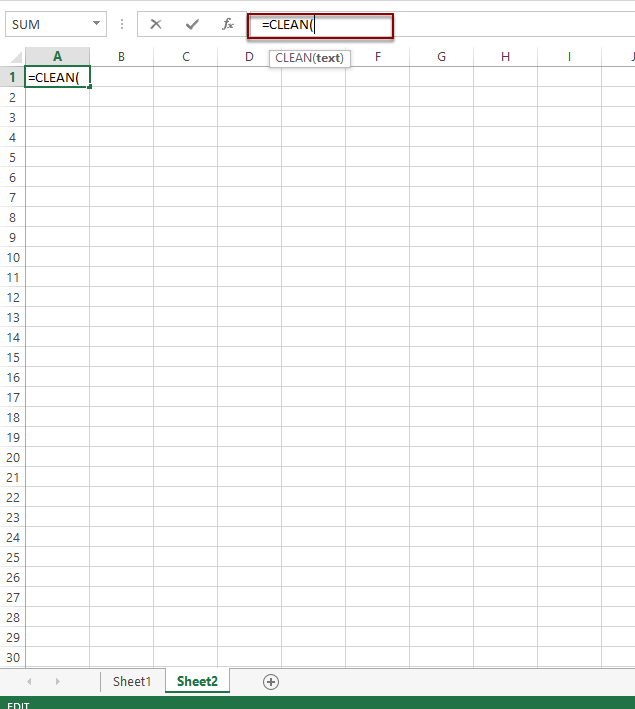 Then type a ) to close the formula. These cells are now clean. 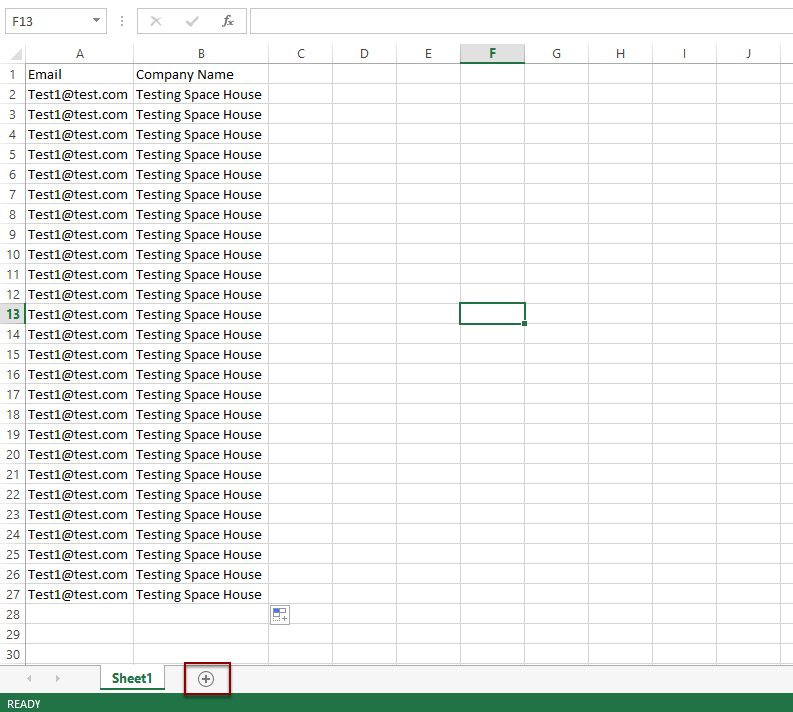 Copy these cells, create a new excel worksheet and paste into a new one. 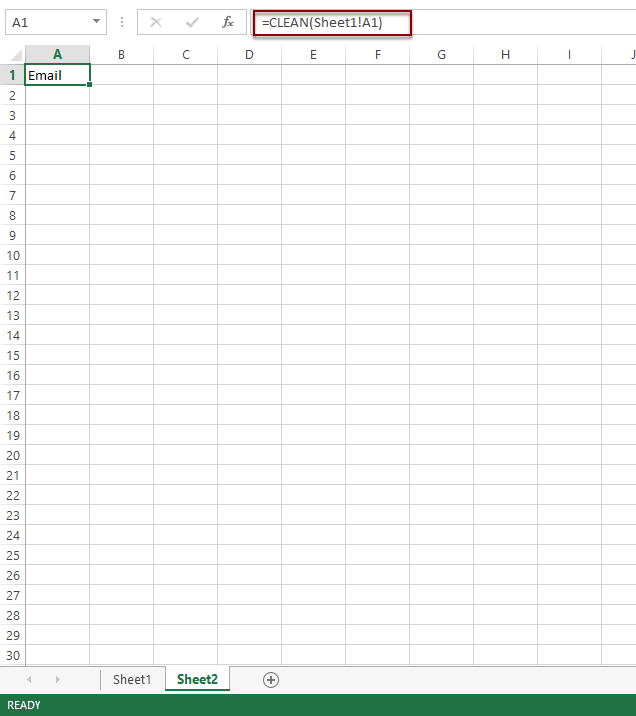 Save as a comma delimited CSV file and attempt to upload again. If it still will not upload or more problems occur, please contact support@communigator.co.uk.